Even though their single ‘Payphone’ is still doing big business here in Australia (double platinum and sitting at No.7 on this week’s ARIA chart), Mister Levine and the gents from Maroon 5 aren’t hanging about, moving swiftly along to the next single from their album ‘Overexposed’, revealing the official video for single No.2 ‘One More Night’. Adam’s a boxer in this one. So focussed is he on the task at hand (training, winning the fight etc) that he all but neglects what’s really important to him i.e. his wife/girlfriend (who he treats like a maid/cook) and his child (who he’s happy to palm off whenever necessary). He gets a bruising in the ring, that’s for sure, but it’s not where he’s beaten most. 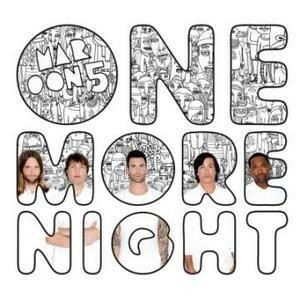 ‘One More Night’ is due at local radio on Monday. Wow. That’s a terrible video!